We are the leading manufacturer of Deuterated Germane Gas. Being one of the top manufacturers and suppliers, we are engaged in offering Deuterated Germane Gas to our valued clients. These Deuterated Germanes are designed following international standards to assure optimum performance. 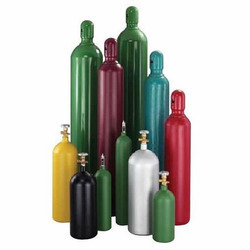 Deuterated Germane offered by us is widely applicable for the storage of various kinds of Gases. These find their wide application in carious industries for various specific requirements.